Accredited by the Institution of Engineering and Technology, this Electrical and Electronic Engineering course offers fast-track progression to Chartered Engineer status. 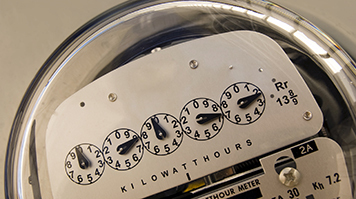 It is all about designing, developing and maintaining electrical control systems. Engineers in this sector make sure our electrical devices are safe and capable of performing to high standards of quality, as well as develop new technologies for the future. Why Electrical and Electronic Engineering at LSBU? No. 1 London modern university for Electrical and Electronic Engineering, Guardian League Table 2018. Accredited by the Institution of Engineering and Technology (IET) on behalf of the Engineering Council. We have a panel of advisers from the industry to help ensure our course coverage is up-to-date and relevant to employment needs. Many career options: there are few parts of our lives that don't owe at least something to the work of electrical and electronic engineers. You can choose to spend your third year studying with one of our partner institutions. No.1 for student to staff ratio amongst London modern competitors (Guardian 2019). 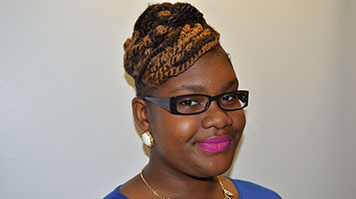 Kathleen first joined LSBU as a part-time student studying an HND. She has since progressed on to a full degree and looking forward to the challenges of a Masters and moving towards becoming a Chartered Engineer. Second year student Yasmin is working hard towards her goal of starting her own business and is enjoying the challenge of her chosen course. Methods of assessment for course overall: 37% coursework. This module will cover material design activities, team work, creative problem-solving, project management, sustainable development principles, personal development planning, report writing communication, Computer-Aided Design (CAD), employability and transferable skills. It's also a work-based module for part-time students, utilising the Virtual Learning Environment (VLE) to provide supporting teaching material and assessments. Assessment method: 100% coursework. This module will help you develop your understanding of essential scientific principles for the study of engineering to degree level. It's designed to be accessible to students with a range of prior science specialisation. The module comprises two blocks of study. These will introduce the principles of measurement systems and units, thermal physics and mechanical and electrical principles. Assessment methods: 40% coursework, 60% exam. 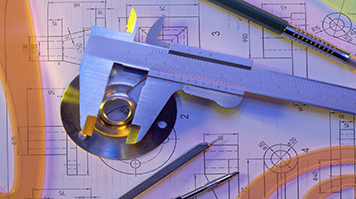 This module consolidates the mathematical skills that underpin the BEng engineering degrees. It's specifically designed to cater for the wide differences in mathematical background of 1st year students, as well as to prepare you for the Advanced Engineering Mathematics and Modelling module that you'll take in the second year. Assessment methods: 50% coursework, 50% exam. This is an introductory module that will address the engineering formation as well as programming knowledge and skills. It will enable you to appreciate the role and importance of software and computers in engineering, and so provide you with the impetus to quickly become competent in their use. Assessment method: 100% coursework. This module will cover the essential material relevant to the fundamentals of both electrical and electronic engineering. Starting with basic circuit elements, Ohm’s Law and Kirchhoff’s Law, the first half of the module will introduce basic and more advanced circuit analysis techniques such as Node Voltage and Mesh Current methods, progressing onto Source Transformation techniques and the basics of semiconductors (Diodes, BJTs and Op-Amps). Then, the electrical part will cover DC responses of RC, RL and RLC circuits and finally AC sinusoidal circuit theory and power systems and three phase circuits. Assessment methods: 50% coursework, 50% exam. This module aims to teach you some introductory material that an electronic engineer should know before proceeding with any digital designs. The material in this module is divided into two parts. The first part will cover the analysis and implementation of Boolean Logic circuits and their modelling using a proprietary CAD and VHDL (VHSIC Hardware Description Language). The second part of the module will focus on analysis and implementation of Sequential Logic circuits, their modelling and implementation using Programmable Logic Devices. Assessment methods: 50% coursework, 50% exam. This module covers undergraduate advanced engineering mathematics to enable you to consider and model a variety of relevant engineering problems (e.g. electrical, mechanical, petroleum, chemical, computer, civil). Assessment methods: 50% coursework, 50% exam. This module introduces methods to mathematically model circuits, signals and systems required for the engineering of electrical, electronic, telecommunication and control systems. It shows how to model and analyse complex signals with Fourier series, Fourier transforms and Laplace Transforms. The direct and indirect method of convolution is used to find the time response of systems to given inputs. First and second order LTI dynamical systems are modelled with transfer functions and their zero-state and zero-input responses predicted when the inputs are any function of time. The frequency responses of some common LTI two port filter circuits are studied. A MATLAB/SIMULINK workshop enables understanding of signal synthesis using the Fourier series, finding the frequency spectra of complex and noisy signals using FFT, and the time response and the frequency response of systems. Assessment methods: 30% coursework, 70% exam. This module aims to give a sound understanding of a range of topics in Control Systems Engineering. It will impart methods to model and analyse dynamical systems met in the engineering of systems such as robotics, automobiles, aircraft, automatic machinery, chemical process plant, etc. It will teach you to determine the stability of a system and to predict system responses in the time domain (transient and steady state) and in the frequency domain, as well as to handle the interconnection of many Single Input Single Output systems connected in feedback and feed forward configurations. The module will provide you with methods to specify supervisory control and data acquisition systems, and to modify the behaviour of a given system by using feedback control to improve stability, to make the system act quickly and precisely, and to reduce the effect of disturbances. Learning will be supported by a laboratory workshop that enables the study of control systems using both analysis methods and computer simulation using MATLAB and SIMULINK. Assessment methods: 30% coursework, 70% exam. This is a skills-based module developing your understanding of the design process within engineering, including factors that need to be taken into account in identifying and meeting requirements for new products (used to mean outcome of a process and can include specifications for a tangible product, or process, or system), such as working within Regulatory, professional and Standards requirements, developing practical skills, working as part of a team, handling information, project planning and management, and report-writing and presentation skills. Assessment method: 100% coursework. This module adopts a modern approach to the study of electrical machines, 3-phase transformers and power electronic converters. The treatment emphasises the features common to all types of electrical machines and power electronic converters and then develops basic performance equations and equivalent circuits and applies them to common electrical machines and power converters in current use. The associated laboratory workshop features work on typical electrical machines and power converters. Assessment methods: 30% coursework, 70% exam. This Module teaches you how to specify and design discrete and integrated analogue and digital systems that form part of a wide range of consumer and engineering products. It covers electronic components, subsystem behaviour and system modelling of both analogue and digital electronic devices. Assessment methods: 50% coursework, 50% exam. In the rapidly changing world around us, it's imperative that you're able to think dynamically to create advantage in your life. This module encourages you to question what you see and experience around you and in your prospective engineering field with an aim to enhance your creativity to discover new and better ways of doing things. It aims to equip you with methods and processes to recognise opportunities and to plan on harnessing commercially viable benefits that may exist from exploiting those opportunities in a sustainable fashion. This might be a product or service (such as consultancy or contract management). The application of project management principles will help to define the critical path of a proposed business and how the many processes involved (planning, market research, market placement, finance, operations, human resources etc.) are interlinked throughout the initial planning exercise and how they can change over time. You'll be expected to reflect on what you can contribute towards a group. Assessment method: 100% coursework. This module builds on the Level 5 module Principles of Control. It introduces a range of Analogue and Digital Control methods to estimate system dynamics and to improve system stability, servo tracking and regulation of system outputs against unknown disturbances. Implementation of these methods in a laboratory will closely support the theory. The application-oriented parts of the module will involve members of the teaching team from all the faculty departments and use case studies and laboratory work relating specifically to the individual disciplines. The module will be delivered in the way of 2 hours teaching, 2 hours computer workshops and 2 hours tutorials per week. Assessment methods: 30% coursework, 70% exam. The Individual Major Project requires you to plan, execute, review and report upon a major piece of technical work directly related to your degree discipline. In this regard, this module provides you with the opportunity to develop a high degree of subject-specific expertise. This module differentiates from others on the course taken due to the high degree of autonomous study expected. This flexibility should be seen as an opportunity to explore new areas of interest and to acquire new and often unexpected skills. The work undertaken within the project will require you to develop your own methodology in advance of presenting solutions to the studied problem. It's therefore expected that project will include evidence and demonstration of detailed research of the subject matter, practical demonstration of understanding of the material, testing and evaluation of the practical elements, detailed reporting, discussion and conclusions of the entire project, and a high level of written presentation and grammar skills. Assessment method: 100% coursework. In this module, specialist linear analogue circuit techniques will be explored. The case study of a typical monolithic operational amplifier design will be used as a vehicle for further analysis of analogue linear methods of integrated circuit design. Workshops will follow the development of the material in lectures, leading to the design of a discrete op-amp on a breadboard. Further material will involve the designs of Digital to Analogue Converters (DACs) and Analogue to Digital Converters (ADCs). Assessment methods: 50% coursework, 50% exam. This module aims to teach you material that an electronic engineer should know before proceeding with digital and microprocessor system designs. This includes topics relating to electronic component and subsystem behaviour, system modelling, microprocessor and related hardware operation and programming. General background will be provided on the technologies that are available for implementation and modelling of electronic and microprocessor-based systems, together with examples of simple applications that can be used in various engineering product designs. The material in this module will provide information on the design of digital systems built from various advanced components. The first part of the module will cover the description of the advanced arithmetic and Finite State Machines components. The second part will teach you how to develop a range of practical designs using those components and how to model it in VHDL. Assessment methods: 50% coursework, 50% exam. This course will prepare you for a career within many fields of electrical and electronic engineering where electronic systems are in use, specifically in embedded control systems where large scale integrated circuits are programmed and used to automate typical processes. Recent graduates from this course have gone onto roles in the transport, entertainment, medical, public sector and public services and supply industries. 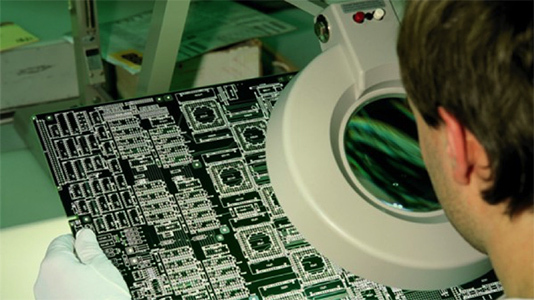 Electrical and electronics engineers can find themselves working in all kinds of environments and sectors. You might work in a production plant, workshop, office, laboratory, or on site with a client. Engineers can be involved in a project from its inception and often find themselves involved in maintenance programmes too. Sometimes they specialise in a particular part of the process and on other occasions are involved at every stage. They tend to work in multi-disciplinary teams with engineers from other areas, as well as architects, marketers, manufacturers, technicians and more. Typical tasks include identifying customer and user needs, designing systems and components, researching solutions and estimating costs and timescales, making prototypes, designing and conducting tests, ensuring safety standards are adhered to and modifying and improving and maintaining the product once it is finished. Chartered engineers can earn between £40,000 and £50,000 per year, and some can earn even more. Our vocational approach to teaching will have a positive impact on your employability. As a graduate you'll have a number of practical key skills that will make you an attractive prospect to employers. These include the ability to complete analytical investigative work, knowledge of both analogue and digital systems, the ability to create computer models for simulation, and the ability to manage projects using industry standards and specifications. Taking up the opportunity of a sandwich year in industry will further improve your employment prospects as a new graduate. Graduates will be able to apply for further study at postgraduate level, including for a place on our full-time or part-time MSc Biomedical Engineering and Instrumentation or MSc Embedded and Distributed Systems. Accreditation is a mark of assurance that the degree meets the standards set by the Engineering Council in the UK Standard for Professional Engineering Competence (UK-SPEC). This BEng degree is accredited by the Institution of Engineering and Technology (IET) on behalf of the Engineering Council for the purposes of fully meeting the academic requirement for registration as a Chartered Engineer. The IET is the professional society for the engineering and technology community, with more than 150,000 members in 127 countries. An accredited degree will provide you with some or all of the underpinning knowledge, understanding and skills for registration as an Incorporated (IEng) and with work experience and professional development as a Chartered Engineer (CEng). Some employers recruit preferentially from accredited degrees, and an accredited degree is likely to be recognised by other countries that are signatories to international accords. All students are granted student membership of the IET on enrolment for the duration of the course for no extra cost. Benefits include access to IET resources, career opportunities and support, and a dedicated student and apprentice online zone where you will find study resources, news, guidance and more. Plus, you'll be part of a large professional network, so you can begin to grow your contacts. LSBU has been educating professional engineers for over 100 years. We know that industry is continually expanding into new areas and technology is rapidly developing and changing and we are proud to play a vital role in these developments. The growth in global communications, global warming and the need to find alternative energy sources have identified new areas of importance in the practice of engineering and product design. Our courses are designed with these issues in mind and are focused on academic content and real-life applications so our graduates are appropriately equipped for future employment and/or postgraduate studies. For those students who choose to take the four year sandwich course, the third year is spent on an industrial placement in the UK and our industrial placement team will provide the necessary guidance, support and advice. This four-year sandwich option is a great opportunity to understand the way that the industry functions and to gain an appreciation of the priorities in the commercial environment. The European Studies endorsement is available on all our BEng courses. If you choose to complete a sandwich year abroad you will study at one of our partner institutions in Europe, and then complete the year with an industrial placement. Yuqing is Professor of Materials Engineering and her research activities include precursors and processes for surface coatings, polymers, ceramics and glass-based composites. 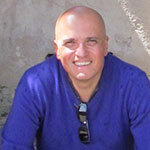 Dr Oswaldo Cadenas is a Senior Lecturer in the division of Electrical and Electronics in the School of Engineering. 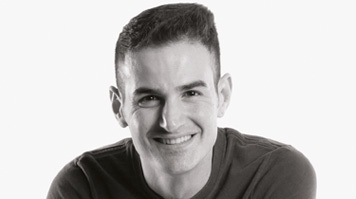 Alessio has lectured in Higher Education since 2010 and has worked in industry as a Product Design Engineer, specialising in medical products. 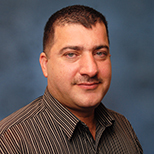 Dr Abas Hadawey is a senior lecturer in School of Engineering, with BSc, MSc and PhD in Mechanical Engineering. Robin's interest is focused on the emergent multi-disciplinary practices in product design, centred on the user-centric design and the factors appertaining to product success. 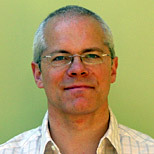 Paul is Course Director of the MSc in Mechatronics, Robotics and Embedded Systems. 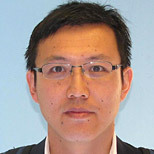 Juquan's teaching includes modules relating to computer system and networks, electrical and electronics, both at UG and PG levels. 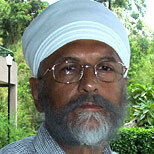 Dr Saim is a Senior Lecturer in Electrical Engineering. He is a Fellow of HEA and has a qualified teacher status with GTCS. 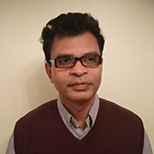 He specialises in solar energy materials for sustainable low-carbon buildings and smart vacuum insulated windows. 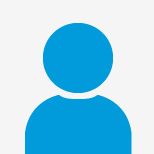 Shymal has a background in automated system, followed by an MSc in Real Time System. 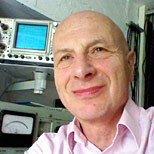 He has many years of experience in NDT research projects. His research interests are in automated NDT, control systems and mechatronics. He teaches mechatronics and control across mechanical courses. Hari is Acting Director of Research and Enterprise in the School of Engineering. 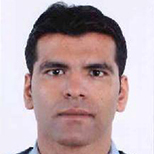 His research is focussed in the areas of photovoltaics (PV) and novel materials for renewable energy generation. 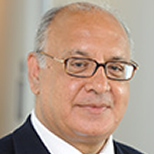 Prof. Sattar's expertise is in Control Engineering, Robotics and Mechatronics. 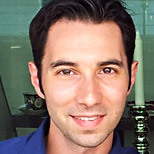 Vincent is Course Director for Advanced Telecommunications and Networks Engineering. You'll learn to use the latest computer interfacing technologies in our National Instruments Laboratory. Sponsored by National Instruments, the laboratory contains virtual instrument workstations using software including Multisim, Ultiboard and Labview. Read more about our laboratories and industry-standard software. Our students have access to modern workshops and laboratories. Our teaching staff have a great amount of experience. Whether they're teaching, carrying out research or involved in consultancy, they have the skills to make a difference to you. You'll learn in a modern, well-equipped environment complete with sophisticated technology. You'll learn through lectures, seminars, tutorials and practical work. Taking on both group and individual projects, we assess your work through a mixture of coursework and exams, with project and laboratory work counting towards your final award. We also teach you the life skills of effective communication, problem solving, project planning and team working that will set you apart and give you the best chance of getting the job you want after you graduate. The amount of project-based learning that you'll do on an engineering degree varies from university to university. At LSBU we offer 'design-make-test' projects throughout the degree course rather than concentrating them all into your final year. This means that you'll adapt theoretical principles to solve real-world engineering problems very early on in your university career. This experience of delivering innovation makes you attractive to employers. Innovation is at the very heart of what an engineer does on a day-to-day basis. Engineers look for practical ways of making things better, more efficient, cheaper, safer, stronger, more resilient, quicker, more integrated and more effective. Our engineering courses will teach you first-hand how to develop these crucial skills and traits. In reality most engineers will find themselves working side-by-side in multi-disciplinary project teams. One of the greatest professional assets that you can have is the ability to function well in this team set-up. That's why some of our modules are shared across all our engineering courses. These modules are about understanding the commercial priorities that shape engineering practice and problem-solving. Guest lecturers from world-renowned companies, such as Rolls-Royce, have lectured on these modules. As an Engineering student, you will be allocated a named tutor during your first three weeks at LSBU. The role of your tutor is to be your primary contact for academic and professional development support. They should be the first person at the university that you speak to if you are having any difficulties that are affecting your work. These could be academic, financial, health-related or another type of problem. You will have appointments with your personal tutor at least twice a semester. Some meetings will be one-to-one and others will be in small groups. You can contact your tutor for additional support by email or in person. James was recommended his course by his manager and is now balancing a part-time course with his work commitments. Mahesh has always been passionate about engineering. At LSBU, he's able to pursue that passion in a supportive environment using world-class facilities. From Sao Paulo, Brazil, Rodrigo travelled the world before deciding to study a degree in Electrical and Electronic Engineering at LSBU. This radar technology has been developed as an installable product by LSBU's Biomedical Engineering and Communications (BiMEC) research group. BSc Electrical and Electronic Engineering graduate Rehan Farooq is now an Electrical Engineer at Mouchel, a consulting and business services group. LSBU holds an international reputation as a world leader in the use of robotics in non-destructive testing and developing intelligent robotic systems. Groundbreaking projects have ranged from building wall climbing robots to robots that work under water and oil. 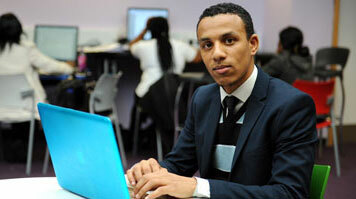 Imedouane Abdouallah, from Belgium, made up his mind on Engineering at LSBU even before he attended at Open Day.